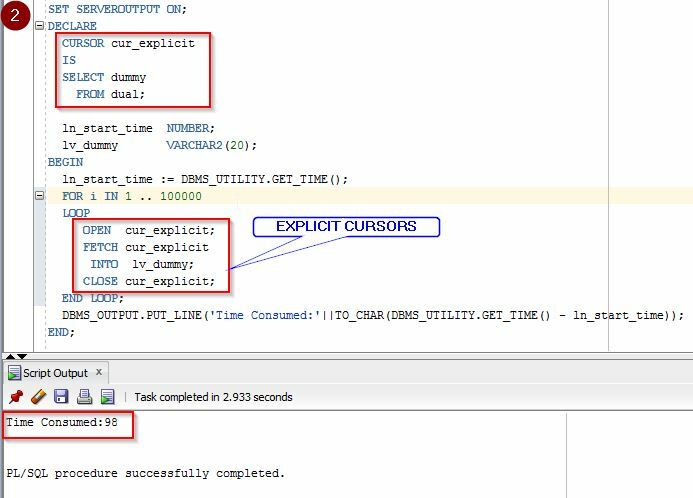 In this post, I tried to understand the difference what Implicit and explicit cursors can make on PLSQL performance. Which is better? 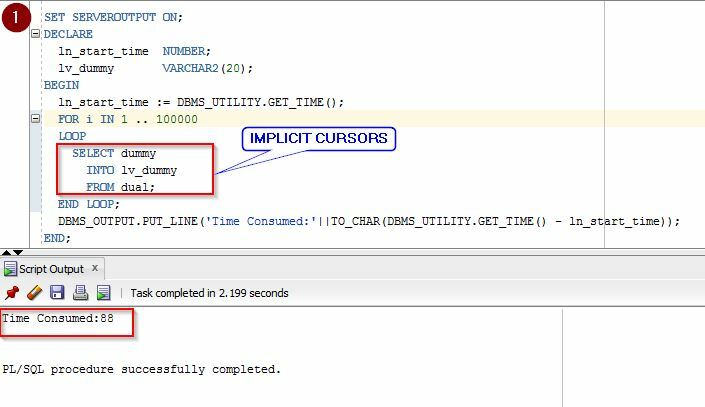 Here is the small demonstration to show “Implicit Cursors” are definitely better than Explicit cursors. As much as possible, it’s better to use Implicit Cursors. The time consumed clearly shows that “Implicit Cursor” is a winner from Performance perspective. Here, the time difference is because of the number of lines of source code. As PLSQL is interpreted code, this number of lines makes a difference.